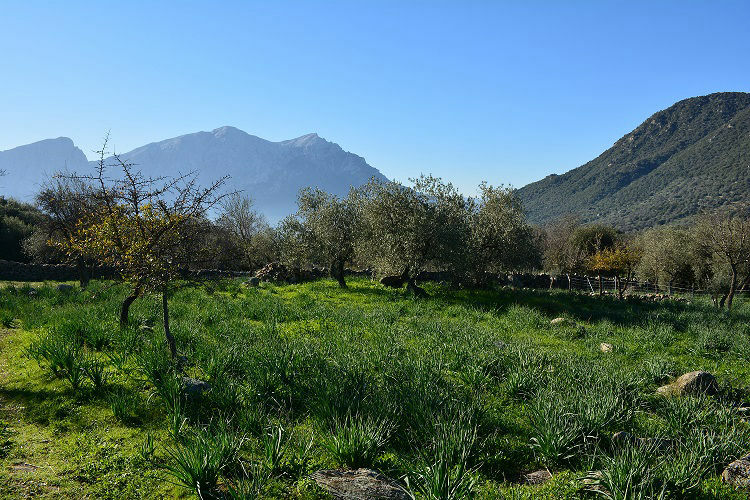 The olive farm of the Fadda-Puligheddu Family is located in Oliena between the foothills and hills of Supramonte and the beaches of the Gulf of Orosei. They are 12 hectares conducted and certified in organic farming. The olive trees are all grafted onto spontaneous olive trees, as per the historical-cultural tradition of the area. There are 3000 grafted plants of “Nera di Oliena” and “Bosana”. The management of the company takes into account the principles of environmental, ethical and social sustainability. The harvest is done manually with the help of mechanical shakers; the extraction is done in the same day at a convection continuous oil mill. The pressing, grinding and separation phases take place without thermal additions and without adding water. This cultivar is widespread throughout Sardinia, but in many areas of the island is expressed with different characteristics. It’s a rustic plant of low vigor, little alternating but generous every year. harvesting and to the processing procedures we can obtain an oil of great value with taste notes of great intensity, but also pleasing, harmonious and persistent. Sensations of green olive are intense on the nose, enriched with hints of artichoke and rural herbs and aromatic which give great freshness and olfactory cleanness. the other gustatory and olfactory sensations. The olfactory and gustatory persistence is very long; at the end of tasting the mouth remains clean and pleasant with a good salivation stimulated by the spicy sensations of the product. Overall it’s a product with great intensity, complexity, harmony and pleasantness. The combination with meat, soups, soups with seafood cuisine enhances the characteristics of this oil; the strong bitter/spicy component, typical of this Cultivar, has a direct relation with a high quantity of biophenols and supports the use of the product in intense and prolonged cooking. It is a variety grown exclusively in the countryside of Oliena. The tree has a remarkable vegetative vigor, great resistance to diseases, late in ripening, but consequently the production is strongly alternating. At the right point of maturation, in the mill you work with a little few difficulties. The oil obtained is a pleasant and harmonious product and well structured in all its sensory components. its entrance is enveloping and decisive, with the bitterness that presides and coordinates all the gustatory sensations which are fully expressed in their freshness and their flavor in full harmony with each other. The spicy appears almost at the end of the tasting with a moderate intensity; it spreads over the whole mouth and at the end is coordinated with all the other sensations, leaving the mouth clean and fresh. Also in this case the persistence of the sensations is long and pleasant. This oil for its characteristics goes very well with all dishes, but for direct experience we highly recommend it in the preparation of desserts and pastry. Also in this product the phenol component is important (higher than 500 ppm) and therefore it can also be recommended for important cooking. 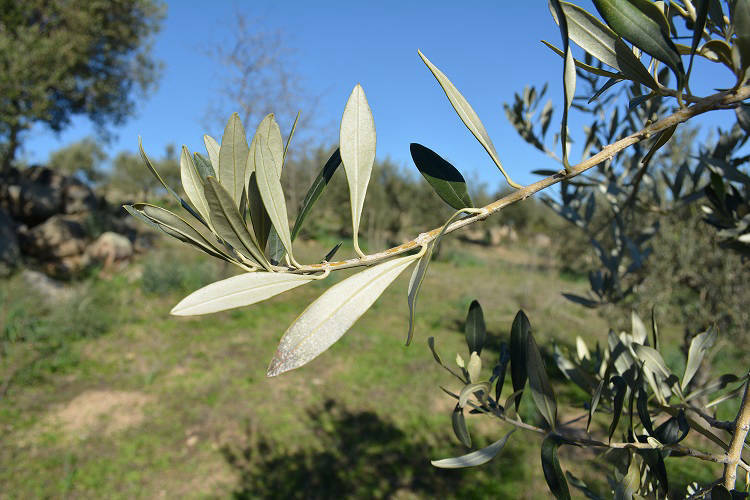 The olive farm of the Fadda-Puligheddu Family is located in Oliena between the foothills and hills of Supramonte and the beaches of the Gulf of Orosei. They are 12 hectares conducted and certified in organic farming. The olive trees are all grafted onto spontaneous olive trees, as per the historical-cultural tradition of the area. There are 3000 grafted plants of “Nera di Oliena” and “Bosana”. The management of the company takes into account the principles of environmental, ethical and social sustainability. The harvest is done manually with the help of mechanical shakers; the extraction is done in the same day at a convection continuous oil mill. The pressing, grinding and separation phases take place without thermal additions and without adding water. the other gustatory and olfactory sensations. The olfactory and gustatory persistence is very long; at the end of tasting the mouth remains clean and pleasant with a good salivation stimulated by the spicy sensations of the product. Overall it’s a product with great intensity, complexity, harmony and pleasantness. The combination with meat, soups, soups with seafood cuisine enhances the characteristics of this oil; the strong bitter/spicy component, typical of this Cultivar, has a direct relation with a high quantity of biophenols and supports the use of the product in intense and prolonged cooking. LunaVera bio - Nera di Oliena It is a variety grown exclusively in the countryside of Oliena. The tree has a remarkable vegetative vigor, great resistance to diseases, late in ripening, but consequently the production is strongly alternating. At the right point of maturation, in the mill you work with a little few difficulties. The oil obtained is a pleasant and harmonious product and well structured in all its sensory components. On the nose the herbaceous and aromatic sensations are prevalent, but there are also fruity and floral sensations. In the mouth it does not disappoint the expectations created by the olfactory sensations; its entrance is enveloping and decisive, with the bitterness that presides and coordinates all the gustatory sensations which are fully expressed in their freshness and their flavor in full harmony with each other. The spicy appears almost at the end of the tasting with a moderate intensity; it spreads over the whole mouth and at the end is coordinated with all the other sensations, leaving the mouth clean and fresh. Also in this case the persistence of the sensations is long and pleasant. This oil for its characteristics goes very well with all dishes, but for direct experience we highly recommend it in the preparation of desserts and pastry. Also in this product the phenol component is important (higher than 500 ppm) and therefore it can also be recommended for important cooking.